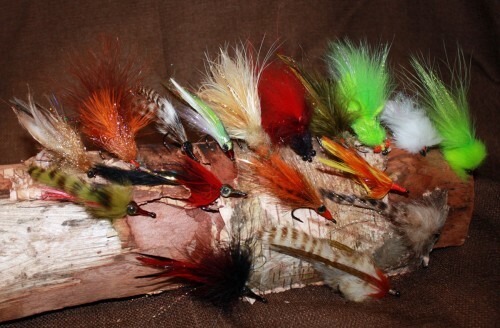 As most fly-fishermen are aware, trout feed and behave differently as we move from one river or another. Also, hatches and food sources change from river to river. But, what happens when we move to different continents and even opposite Hemispheres?? Well, the answer is , LOTS !!! 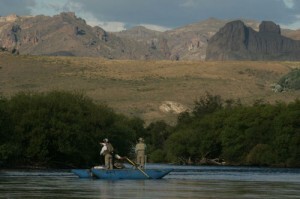 Trout were introduced in Patagonia in the early 1900’s , and have shown a remarkable ability to adapt to these waters. To a first timer, the rivers in Northern Patagonia don’t look very different from the rivers of Montana, Idaho or Wyoming, with head waters high in the snowcapped mountains, running through a dense forest to drier plains and dessert like areas. But if you look a little closer, you see that the entire ecosystem is different. 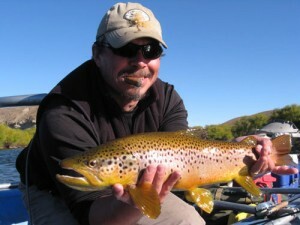 The rainbows and browns really behave differently than their relatives in the northern Hemisphere.Hatches in Patagonia are not quite as numerous and dense as the ones seen in the healthy rivers of the Rockies, but instead are slow, timid and can last for long hours, with fish rising occasionally almost all day long. However, there are exceptions, and one of them is the sauce worm “hatch”. The “sauce worm” is the larvae of a small wasp that get its nourishment from the willow trees. ( Sauce is the Spanish name for willow) The sauce trees line most of the banks of the famous rivers in Argentina’s Northern Patagonia Region. This small, light green worm is anything between 10 to 25 mm long, and in the long days of summer they feed lazily on freshly grown leaves of the “sauce” trees. In the second half of January, and some times until the first half of February, they are so numerous, that the “sauces” only have a few leaves remaining. They eat the upper section s of the trees first where Patagonian winds sweeps the worms away which protects the trees from extinction. It is during this time that the worms start to fall from the trees to the river. They are close to reaching their pupa stage and are slow and insecure in their movements. Since they have eaten all the leaves to which they cling the slightest breeze will shake thousands of them into the water. The trout are waiting below every tree for this free lunch. This is one of the few ”hatches” that will move even the biggest fish away from their lies in deeper water to the waters near the banks under the trees to feed on this “rainfall” of worms. Trout will feed heavily all day long on these worms and they can become very selective, which will frustrate any angler that arrives without the proper imitations. The imitations need to float at different levels throughout the day. In the morning, with cooler air the surface film is stronger and most worms will not break it in their fall, so a floating worm imitation is needed. As the water warms up, some of them will start to sink very slowly, maybe only an inch or two, so you will have to be prepared with some very slow sinking imitations. 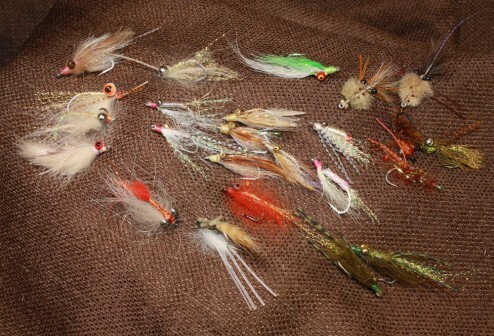 Hook size ranges from 16 to 12, with 14 being the most versatile imitation. 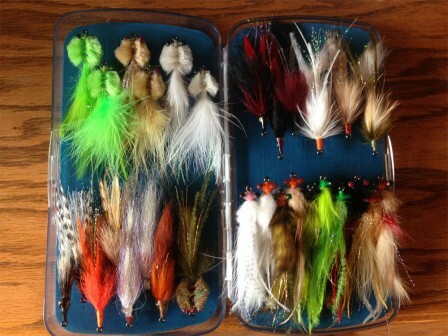 These imitations should be tied on dry fly hooks, or very light nymph hooks as we want them to either float or sink very slowly. Casting has to be precise, as these fish are wild and thus very spooky. Tippets will range from 5x to 4x, depending on the size of the fish and how many flies are you willing to leave hanging on the trees above !! !